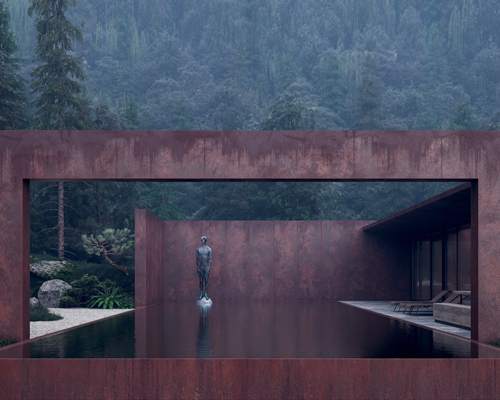 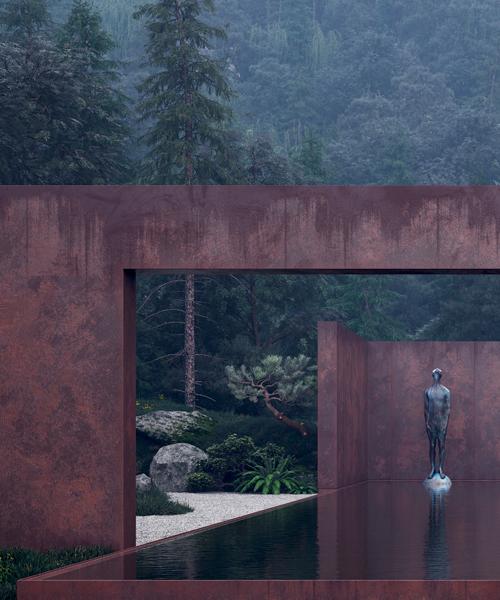 walking through the terraced site, one would encounter with eventual sculptures of different materials highlighting the sophisticated architectural solutions. 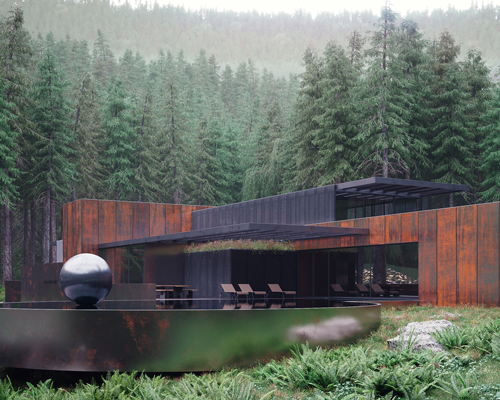 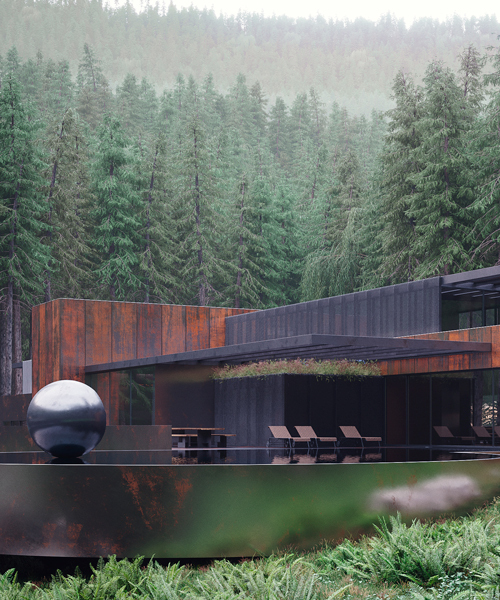 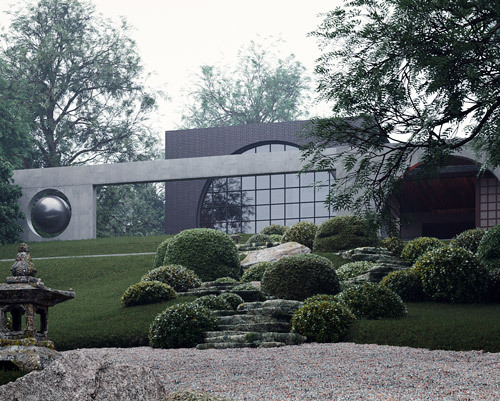 ukrainian architects sergey makhno and alexander kovpak's 160 sqm guesthouse is made of concrete, weathering steel, glass and water. 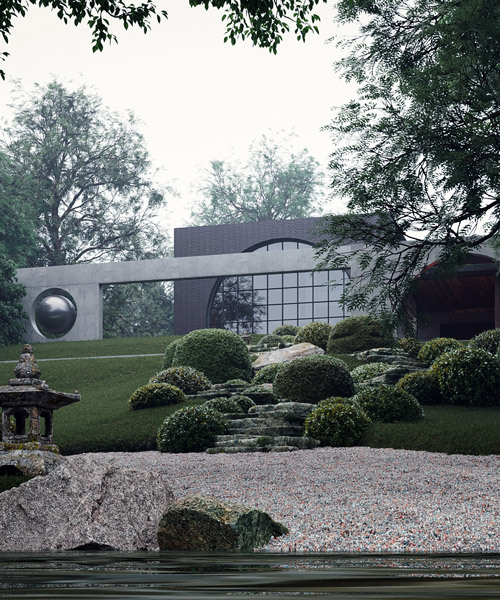 simple volumes made up of varying materials are stacked and punctured with large windows to shape a house characterized by strong geometries, light, and texture.